Mark your calendars as we celebrate the melting of the snow, and meet on March 21 at 7:00 pm. This month’s theme is Conklin Pens. Bring any Conklin Pens, Memorabilia, Parts, or Questions to the Meeting. We look forward to all members and guests! 2. We all agreed to change the April Pen Club meeting to the 11th of April due to Good Friday falling on the 18th. 3. Francis reported on the LA Pen Show. Simply put; magnificent weather, good buys and sells, meeting friends from around the world, once again exchanging pen stories and pen finds. Very large crowds attended the show. The Chicago Show is May 1st thru the 4th. 4. The theme of the night was INKS & PAPER. 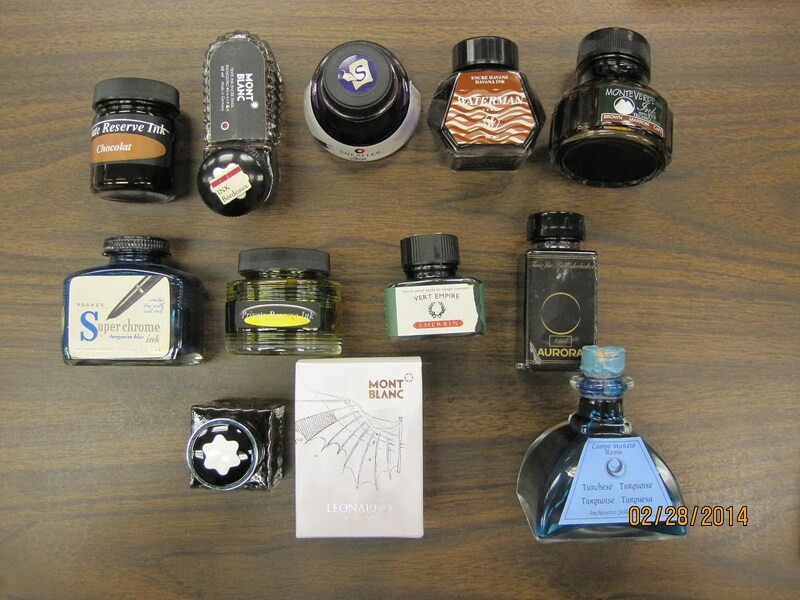 Most people brought their favorite inks for show and tell. We tested some of them on paper donated by Robb. Here is a listing of some of the attendee’s favorites (see attachment). I might have missed a few. · Akerman – Diap-Duinwaterbluw (yes that is a real name and if you’ve been to Amsterdam and tried to read the street sign you would understand). 5. 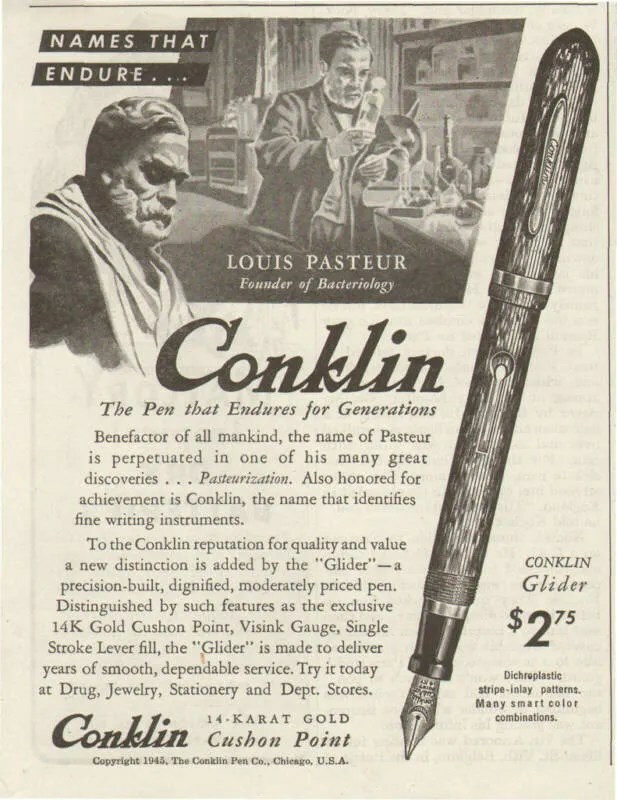 Our next meeting is March 21st and the theme will be Conklin Pens. 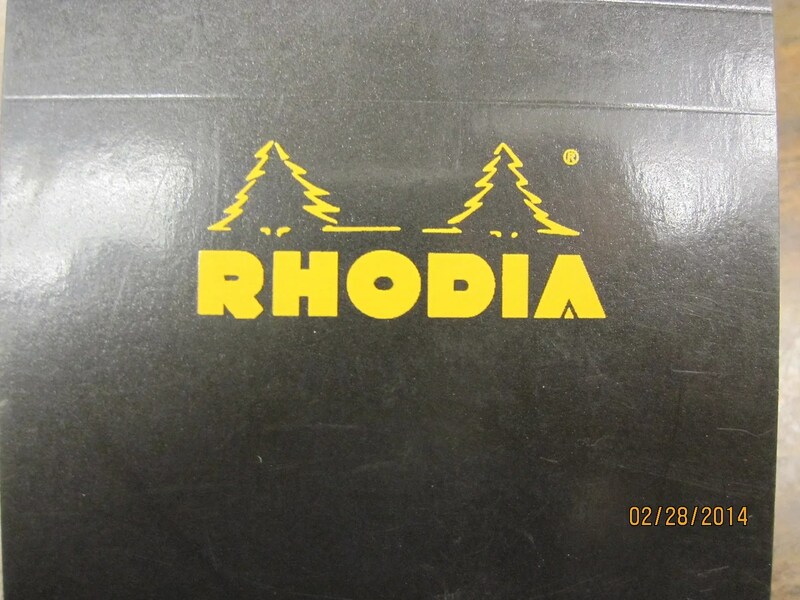 Dig deep in your vaults and bring your Conklin Pens & Pencils, Conklin parts and memorabilia for the meeting!